I started this blog a year ago, and within four months of starting, I was making money. But, it wasn’t a lot (around $20). But that didn’t matter! I did it! I made an income with my blog, and I was happy with that. For the next couple of months, I made some money, but it never topped over $50. I started to lose motivation and told myself I wasn’t even focusing on monetizing my blog. This gave me permission to “forget” about it and return to it later. You’ve decided to monetize your blog, and you hear a lot of ways to make an income, so you try them out but three months later and you only have enough for your Starbuck’s frappie. I knew what I was doing wasn’t successful so I didn’t put a lot of time into it. It wasn’t until January 2017 hit that I sat down and made a solid and legit plan to make money with this blog. And it worked! I made my first $200 a month after laying out my plan. So, what did I do? How did I go from making barely $50 to $200? If you haven’t started a blog yet, now is the time! Start your money-making blog in three easy steps with this step-by-step tutorial! Okay. 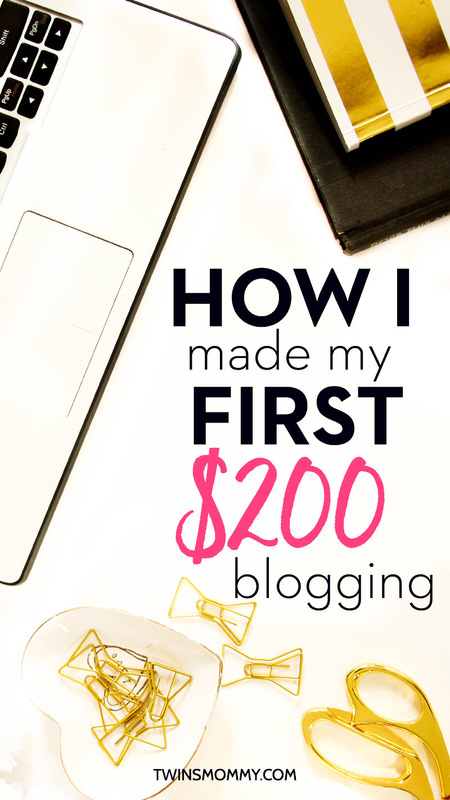 This isn’t really the way I made $200 because I used affiliate marketing at the beginning of trying to make money blogging. But, I wanted to put this in because affiliate marketing is an easy way to make money as a new blogger. That’s all I did. Whenever I blogged and mentioned an affiliate product, I just used my special affiliate link and linked to it in that post. Why was this the wrong thing? Because new people to your blog are reading about the topic of the blog post and if your affiliate product isn’t the sole topic of the blog post, your promoting isn’t much converting. It’s not a great way to make money by affiliate marketing this way. There’s a much more effective way, and it was the way I was able to make $200 in one month of trying it. That was it. I focused my blog post about the affiliate product. The first post I did like this was for SiteGround. The post is about how to start a blog. I knew this would be the perfect post for my blog since a lot of my followers and subscribers are brand new to blogging. Many of them don’t have a blog, or they’re thinking of one. As soon as I made that post and started promoting it on Pinterest, I got eyes on that post! So, how do you create a post around your affiliate product that speaks to your reader and gets them to convert? One of the most effective things you can do is show the features of that product. What is so amazing about that company’s product and how does it relate to you and your audience? If you can talk about this and even show the features in a video, then that makes it valuable and actionable. Another thing I did was tell a story. I told my story about using the product or why I decided to use that product. This can be very powerful for a lot of people who are on the fence about using that product. For my ConvertKit post, I talked about why I switched from MailChimp to ConvertKit. This can help a lot of people who are using MailChimp and don’t know if ConvertKit is the way to go. The big takeaway is to give a juicy and valuable post for your affiliate product. Once you know it aligns with your audience, then write a post that shows them the features, what it is, why you like it and how to use it. If your post answers those questions, then you’ll get more eyes on that post, and it will be more valuable for your audience. When new people visited my site, they can click on the post on my side bar or, if they sign up to my email list, they will get a link in the welcome email. These little things helped me get traffic to that post and make it more likely to convert visitors. There are many ways to make money online, but only a few are long-lasting, sustainable and attainable. For me, I started making money online by offering a service on my blog. For me, it was freelance writing. I was able to quickly make my first $1k within months of finding work, and it’s still a great income stream for my business. Another way to make some side income is to create a product. It can be a digital product, or you can sell an item on your blog. Nowadays, it’s easy to set up shop online and on a budget! While I don’t have a product for Twins Mommy, it’s something I’m working towards as I want to serve my audience best. Do you have a blog? If not, it’s easy to start a blog, and it’s budget-friendly too! Once you have a blog, there’s no end to how you can monetize it. 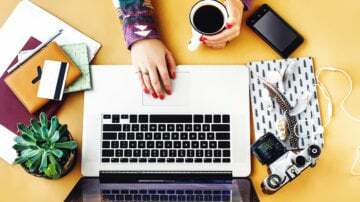 Create multiple income streams, and you can live off your blog mama! It’s totally possible! Now it’s your turn – have you generated income from your blog? Tell me the story!! I love this! I’m still struggling with making n income from my blog so I’ve done a few round up posts recently like 10 Best All Natural Cold and Flu Remedies with affiliate links so I’m hoping that will help. Definitely need to do more Pinning as well to get my posts in front of more eyes. Thanks for the tips! Hello, Miss Elna I just have to say I love your blog because of the many advice you have given me throughout my journey as a blogger. I recently launched my teen finance blog Mediocre to Mogul and naturally, I want to increase my traffic I am told a great way to improve traffic is by group boards on Pinterest but I don’t know where to start so if you have any advice can you please let me know. Thank you. Hi there! I have a ton of unpublished blogs that I feel are great. I created a mommy blog about a year ago with my friend but to this day it hasnt been published. I was investing most if the time in the creation of the blog but in the end just was unsure and not a lot of support. But I feel I am a great writer. Are there any places to sell any if my articles to? Ive got fun written story recipes, crafts with fun blogs, life chalkenges with kids and friends, family issues, blogs on trying products, these blogs are just sitting there doing nothing! Any advice on how to get published and paid? That’s a great idea! 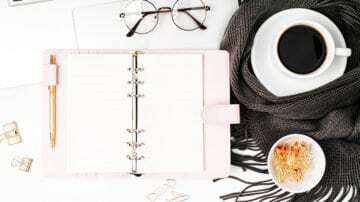 You can approach other mom bloggers with the same type of content on their blog and offer to ghostwrite for them or mention you have X blog posts about these topics and if they want to buy in bulk? I think other bloggers will pick those up no problem! Hi! I appreciate your sincerity. I’m trying to start a blog myself and I am kind of stuck…WP is not that easy as I thought it was( at least for me, because I have no experience at all). Many bloggers said that they make thousands, but I don’t know if it’s the thrut. Therefore, it’s nice to see honest people out there. Thanks for stopping by! It IS possible to make a living blogging. I started out as a freelance writer getting paid to blog for businesses. Now I create courses and blog and make a living. You can offer a service or write an eBook or sell printables. The possibilities are endless! I discovered you on twitter maybe a month or so ago and love your blog, tips, etc. I am new at the freelance writing game but I do have had my own blog up for almost 2 years now and haven’t generated anything. As I read the comments, the put in a “hire me” tab seems like a good idea. Honestly, I am a lil frustrated as I read and get as many tips that I can, follow freelance writers such as yourself but I still don’t seem to be getting anywhere. Any advice for someone like me? First, congrats on your success. As a fellow freelancew writer and user of Pinterest, Ihave been familiar with your work for some time and see your pins all over Pinterest. You really know how to rock that SM outlet. I’m late to the game there, but am learning. Just wanted you to know I added the story you shared here to an evergreen roundup post I did on “How long it took affiliate marketers to get their first sale” on my blog. Thanks for letting me know you featured my blog! I never check my GA for that! Yes I’m loving Pinterest marketing for sure! I like what you did with adding the, “Hire Me,” tab. I hadn’t really thought of that before. For some reason, I didn’t think of combining the fact I’m a freelance writer with my blog. I’ve gone ahead and added one, so time will tell what happens, but thanks for the great idea. I also like affiliate marketing and started that from day one for better or worse. My blog is still very new, a month old, so we’ll see how things go a few months from now. Thanks for all your great tips! Thanks for stopping by 🙂 That’s great you got a new tip about having a Hire Me tab on your menu 🙂 Good luck on your new blog!! It looks beautiful btw! I’ve been blogging for over a year now and have read what feels like thousands of blog posts on how to get income from blogging but I’ve made $0.00 I’ll try out your tips! Thanks! Wow! Thanks so much and good luck! Thanks for giving so much information on your blog! I’ve only been blogging for 4 months and I want to start being more serious this summer since I’m taking a break from classes. I want to look into making some money with my blog but I wasn’t really sure where to start. Thanks for this post as well as your other ones which are super helpful! Thanks so much! How exciting that you’re ready to get going on your blog journey. I love blogging!! 🙂 And if you can make a bit of cash, all the better! Great post! I’ve tried a little with affiliate marketing and had my first click which gave me 6 months of blog hosting for free which was awesome! I now try to use amazon affiliate links in hopes to make some real money there. That’s fantastic! I’ve never used Amazon affiliate links, so good luck! I just started my blog so in November, and /i just started using Shop Collective as I have a fashion blog. I’ve only made a $1.05 lol not looking to monetize just yet I will be saving this to my Pinterest board. Thanks for the tips!! I know, right? That was like me too! I really had to sit down and develop a plan for it to work! Can I get into affiliate programs even if my blog is just 2 days old? Or should I focus on getting page views first? Not that I know of. You can apply even if you’re a new blogger! Congratulations and great tips! Pinterest is a great way to drive traffic to your blog! I’m excited that I’m turning this blog into a business! These are great tips for bloggers! thank you! You’re welcome! 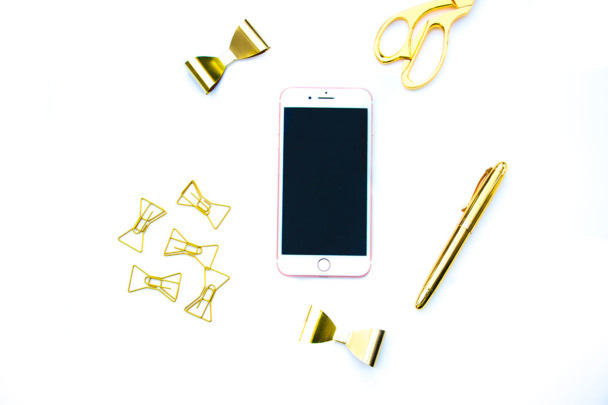 So happy you found some tips to help you monetize your blog! You go girl!!! I don’t know why I’ve never used affiliate marketing to my advantage. When I was more of a fashion and beauty blog I used collective style as my affiliate marketing and was able to make my first $100 with affiliate marking a while ago but never stuck with it lol I need to try this back out with more helpful products hmmm getting ideas. I have products that allow me to make money but it never hurts to add a little more income haha! Thanks for this helpful tip. Always learning!! Do you mind me asking who you used through affiliate marketing? I just signed up for Amazon and did what you said, building my post around a product and sold $75 of merch my first day…. but then they turned down my application and cut me off! I was very upset and still plan to reach out to them to see what I did that would cause me to not get approved by them, but I am also curious to see what other bloggers use in case that might work better for me. I plan to clean all the ads from my posts in the next few weeks and start over fresh. 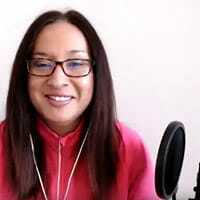 For my affiliate programs I used: SiteGround for hosting, ConvertKit for email marketing, Tailwind for social media automation, and OptinMonster for opt-in forms. I want to get into Thrive’s affiliate program but unable to. You can also become affiliates for courses like Michelle’s of Making Sense of Cents or any other course that offers an affiliate program. Good luck! Sorry about the Amazon thing! I haven’t used them…so not sure.. I also tried the same affiliate marketing strategy as you (add affiliate links to posts where you mention the product), and saw similar results (no sales!). Thanks for sharing all your tips. One thing that’s been working for me is writing tutorial posts that help people get a specific result. If you show someone how to use a tool, then they are more willing to buy that tool through your link! So true, right? It’s best to show people how to use the tool or service! That’s what I changed in my strategy and it worked! Thanks for stopping by! Great post with a lot of information. Just subscribed and looking forward to reading your blog! Wow! Thanks for subscribing! I’m glad you found some great help for your blog! Hey I love this post! Thanks for the tip about MailChimp. I hope that it is easier to add to your site with the converter one. I’m kicking up my email marketing so I appreciate it. I also subscribed! Looking forward to more post! Great post! I’ll have to start doing more targeted affiliate posts! It’s just hard to find the balance between affiliate posts and more organic ones. Yes! You are right. I did go a little crazy and wrote 3 affiliate based posts in one month!! But, it’s all good now! This is me at the moment. I just made my first affiliate sale last night. Its only $2.50, but it’s better than $0! I just moved my blog to Site ground 3 days ago and have had nothing, but positive experiences. I’m an affiliate for a few other products and my favorite are stock photos so I’m going to take this advice and do a post on one of the stock photo memberships I use. These tips are exactly what I needed today! Thanks Elna! That’s awesome and it is a slow hill at first..well for me it was. For months I was making barely $20 a month. I really had to sit down and write valuable posts and do videos and actually show how to use this tool or service to convert people. It’s a lot of effort, but you do it once and that post pays over and over again! Good luck! When I started reading this post I was thinking “this is totally where I am right now!” I made $10 just through ads in a few days (about a month ago) and got excited and then it has been $0.01 since! Haha. My amazon affiliate is a whopping $0 to date. I’m going to try your tips and hopefully I can see even another $10! I also have the mindset right now that since this is my “hobby” I will worry about making money “when I have more time” but I need to bite the bullet and just make myself do it and devote more time to my blog. I love reading your posts. You keep me motivated!! Thank you! Thanks so much for your support! I think you’re right when you say you have to treat your blog more as a business, rather than a hobby! You don’t need a lot of time, just focussed time! Good luck! Great tips! I’ve had affiliate offers but always turned them down since I didn’t know how to optimize them for profit. Thanks for the tips! That’s great to know. Glad this post helped you out! Thank you for your inspiration! I have been blogging for about a year now, and still haven’t made any money. I have a DIY blog, and I think that makes it a little harder, but reading posts like this gives me hope! That’s mostly what I’ve used. I get a lot of clicks, but so far nobody has bought anything. But I keep trying!